Both of them are worthy of Shakespearean characterization, but Trump’s the one you want to look at right now. Here’s a guy who’s held absolutely no political office running for the Presidency. Right there I like it. The day he announced he looked uncomfortable and I figured if he was just playing he wouldn’t look so vulnerable. Whenever people would ask me if I thought he was really serious I’d always mention that. Ive never seen a candidate work so much off the cuff and without a filter. Once during the Primaries, Trump was campaigning in some god forsaken place. He took the mic and said what politicians have always thought but never say. God, that was funny. Trump’ll say anything. Remember this punchline? That was probably the best quip in the whole campaign and everybody laughed because it was genuinely funny. I’ll bet Trump got most of his Democratic votes right there. It’s possible he could run again in four years but tonight’s the night. 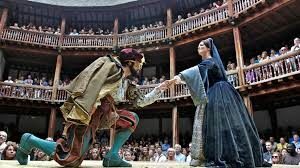 They’ve called Hillary Clinton Lady MacBeth, but if Shakespeare wrote books he easily could have written one where the main character has to risk the one thing upon which he’s built his reputation. In order to succeed he has to risk losing. Tonight’s vote is the next Chapter.